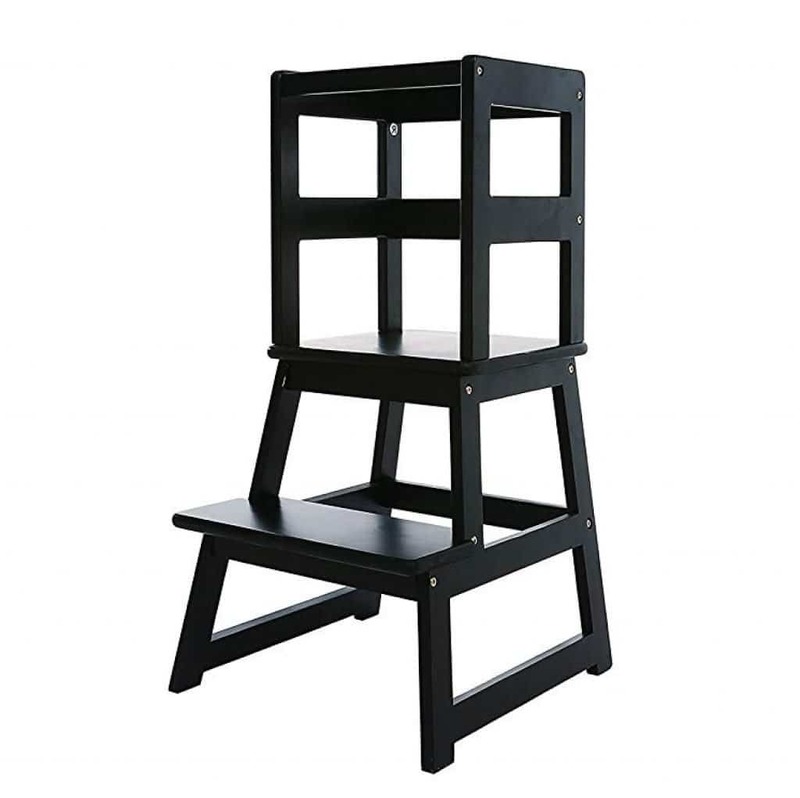 A toddler step stool is a stool that kids can climb onto in order to reach places that are far above their height. It is very convenient because you do not have to lift your kid each time they want to access the sink, toilet, shelves, closet, or the kitchen counter. This frees you up for other tasks and allows your precious one to observe, imitate and even help you out in the kitchen. The best toddler stool will literally and figuratively take your child to greater heights by promoting their independence and developing their self-help skills, such as toilet training, brushing teeth, cleaning groceries, setting tables, and other chores. It also gives them access to more areas for exploration and adventure. 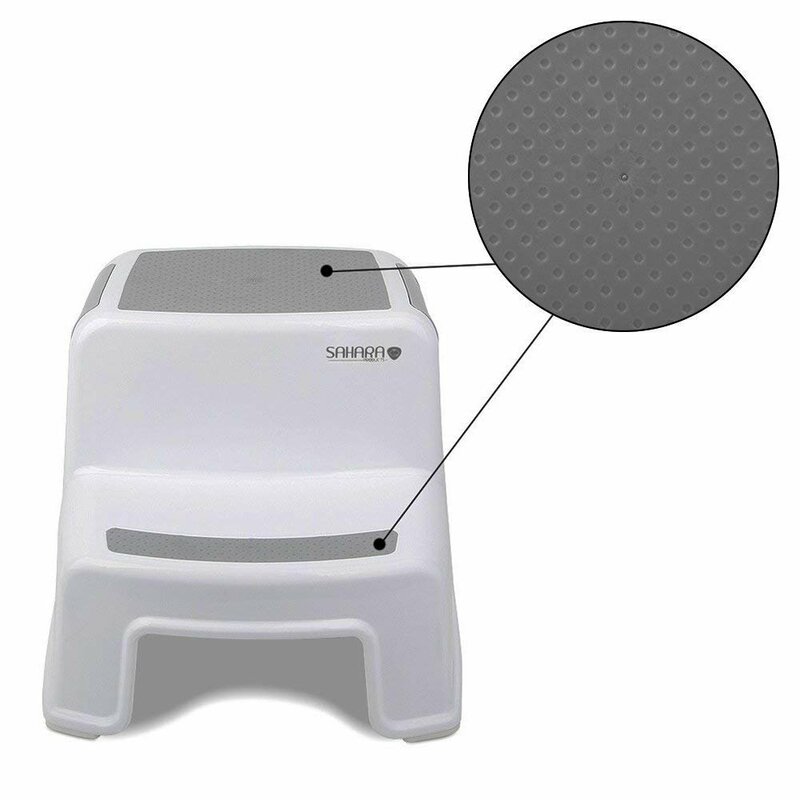 To ensure you get the maximum value out of your toddler step stool, we considered the most essential features and included them in this review. 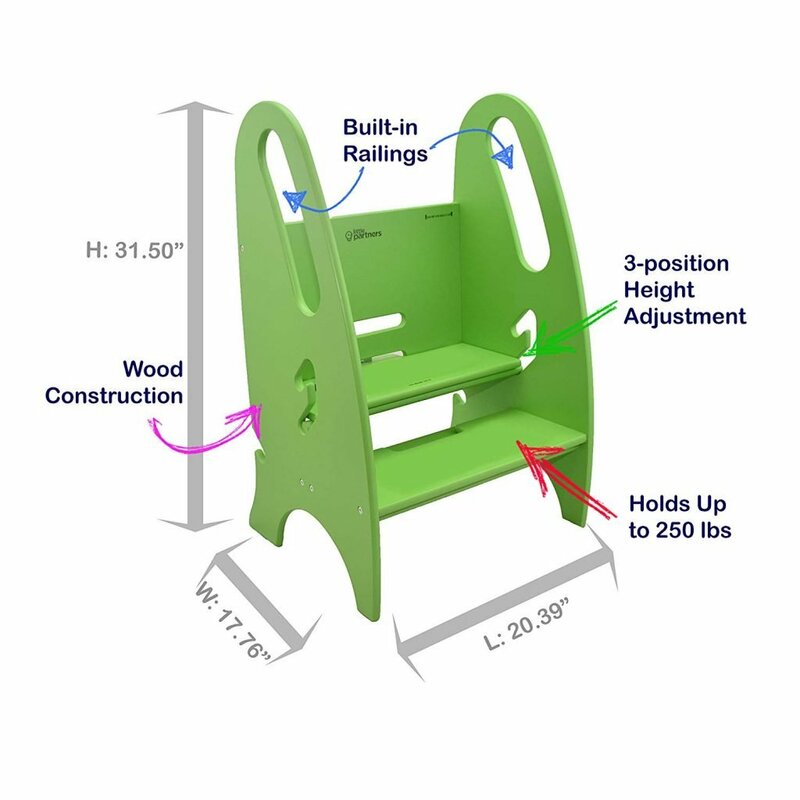 We started with the maximum weight capacity because a higher capacity will accommodate your child’s increasing weight as they grow. Secondly, we assessed the material used in construction for safety, convenience, and durability. 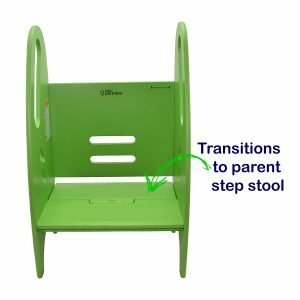 The importance of the toddler step stool was our third evaluation to ensure that not only you but also your kid can move it around if needed. Lastly, we considered the dimensions to determine how high the child can reach and the type and size of spaces we can fit the stool. We factored in product specifications, user experiences, and expert reviews to come up with our best toddler step stool list. We then compared the overall performance of our top models and captured the results in a comparison table. Next, we reviewed each product’s features, strengths, and weaknesses in detail. 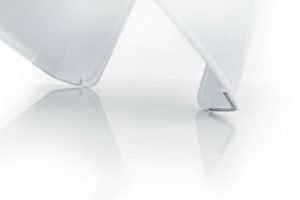 After that, we compiled a comprehensive buying guide which explores the essential features of a toddler step stool and offers additional information on when to buy it and how to use it. We also provide answers to frequently asked questions and sum up our top three recommended models. 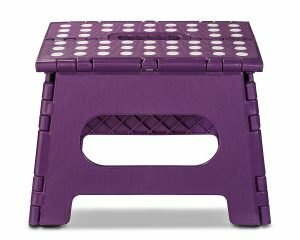 Sturdiness, durability, versatility and competitive pricing make it easy to see why this model is such a popular best seller and our choice for the best kids’ step stool. It is made of long-lasting plastic that can hold up to 150 pounds while being super easy to clean. The neutral color fits in with practically any bathroom décor, however, the color may appear a bit different depending on the light and surroundings because of the reflective properties of this material. There are two steps providing your kid with dual height to accommodate their growth and different needs, such as potty training regime, and access to sinks, kitchen counters, and dinner tables. This is made possible by the significant height of 10.3 inches. 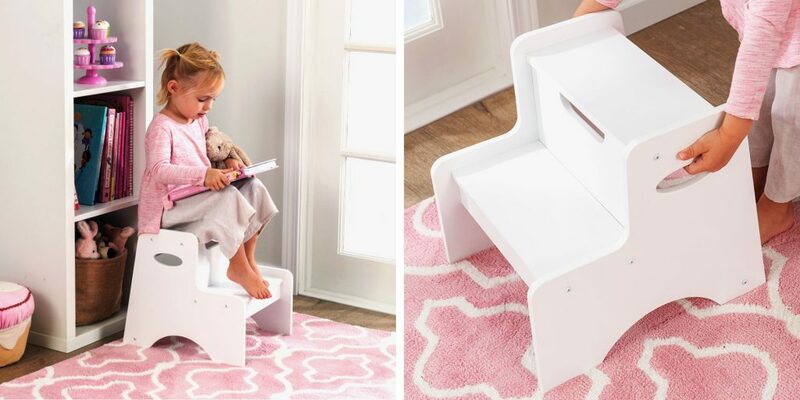 The hollow design on the underside is sizeable enough to make this the best toddler step stool for storing creative playthings. Although it is recommended for kids, a sizeable number of adults weighing up to 165 pounds have used it to change bulbs, or just to test out its sturdiness. The two steps feature slip-resistant surface, and the four legs are padded with corner guards at the bottom to prevent slipping. This makes it safe to use on all types of floor. The back of the stool slightly curves and widens towards the bottom to increase stability and avoid toppling. Moving it is easy because the plastic material is 2.01 pounds and the cut-in holes on the sides serve as handles. Buyers mainly complained of the narrow width of the top step which did not allow their toddlers much room for turning. This is the most versatile, durable and safe kids’ step stool that can be comfortably used by both children and adults up to a maximum of 250 pounds. 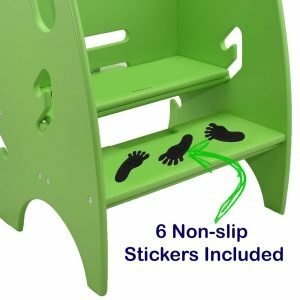 Featuring a sturdy construction of solid birch wood with six anti-slip stickers included in the purchase, tall sides and built-in hand grip rails for kids to hold on as they climb, it provides a safe way for your little ones to reach sinks, kitchen counters, shelves, closets, or the top of fridges for a snack. 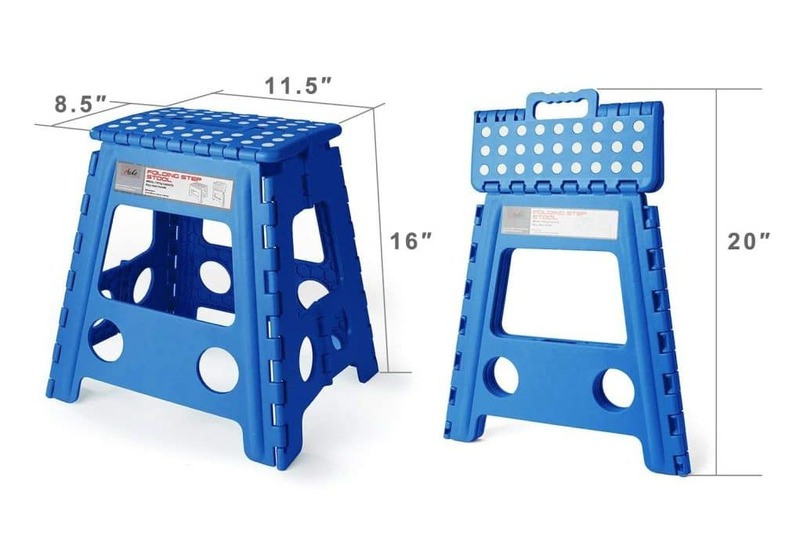 The 17-pound step stool consists of a bottom step made up of two halves, one fixed and the other removable and adjustable to two different heights. The half at the back can be pulled out and inserted into either of the two slots above and secured with a lock to serve as a second higher step. The three-step positions mean your toddler can grow with it, and several children can use it at a time. Mothers can also use it as a sitting stool while, for example, helping their kid to take a bath. This model is apple green, but you can also get it in eight other different colors to match your décor. Note though, that some customers have noted chipping of the paint after a short time. 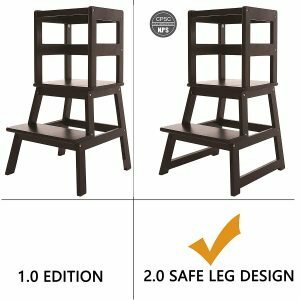 New brands with few buyer reviews and low pricing can easily make us skeptical, but the one-of-a-kind design, high ratings on the performance of this toddler step stool by verified buyers and their testament of the exceptional customer service should assuage your fears. This model is entirely made of solid pine wood which is sturdy and long-lasting although it makes the stool a bit heavy at 15.4 pounds. The wood is coated with non-toxic polyurethane paint which is safe for children and easy to clean. 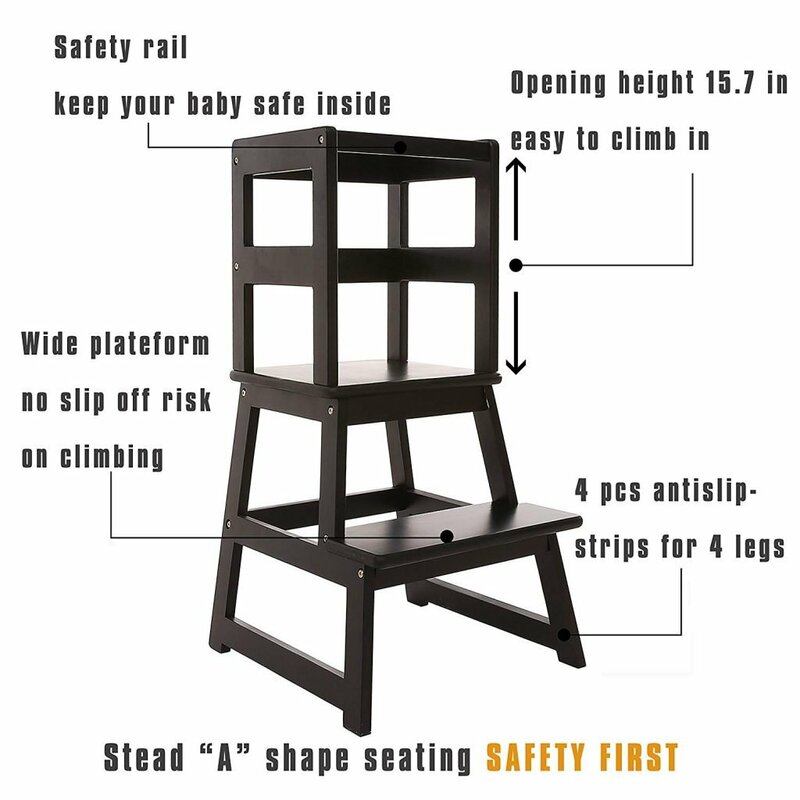 Toddlers climb up from underneath, and the safety rails on all the four sides prevent them from falling over the 34.8-inch high step stool. Safety is further enhanced by the sticky pads attached on the legs to avoid skidding and slippage. 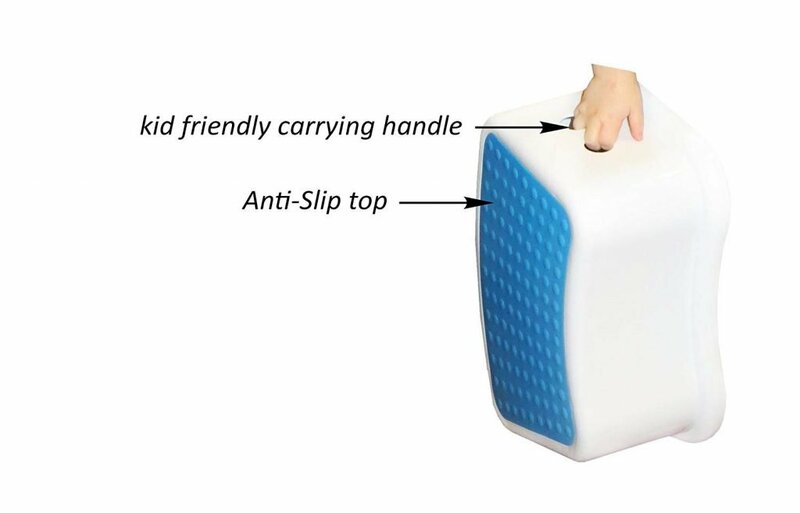 The manufacturer recommends it for children aged between 18 months and four years, but it can accommodate weight of up to 150 pounds so it can handle even older kids if necessary. The purchase also comes with 14-day money back guarantee and a lifetime guarantee on free parts. If you had any doubt on the sturdiness and durability of this toddler step stool, its lifetime guarantee offers you maximum confidence in it. Customers rate this model very highly and report how obsessed their toddlers are with it. They also love the ease of assembly which they did in minutes, with only a couple of them struggling to fit the screws into the holes. Some buyers also noted that the anti-skid pads kept coming off. 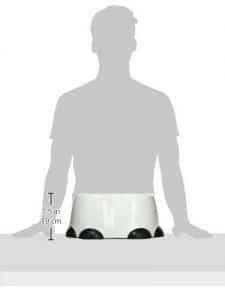 As seen in our review, a constant complaint about toilet-training step stools is their narrow width which does not give children much room to turn and sit on the toilet seat. Bumbo step stool fixes that with its width of 15.1 inches and would, therefore, be the best step stool for your toddler to use big toilets. The sufficient stepping surface has also seen parents use it as a footrest. 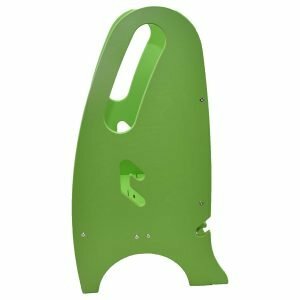 This model is made of durable plastic which can hold a maximum of 110 pounds, but still remains light in weight at 1.1 pounds for portability. The plastic material is easy to clean with a damp cloth. There are holes on the side that are used as handles so babies can conveniently carry the step stool around. The stepping surface and the base are anti-slip for traction on all surfaces. Buyers continue to marvel at the way the Bumbo toddler step stool stays in place even when kids stand on its edge or wiggle on it. It is really outstanding in traction and would be handy on tiled or wet surfaces in bathrooms. An adult would have to kick it hard to topple it. However, the anti-slip pads at the base may come off after a while. There is a hollow design underneath that is stackable for boosting the height. The space underneath can also be converted to a storage for your toddler’s toys when overturned. You can get this model in black and white, blue and pink colors. Your purchase will make a difference because the manufacturer donates a portion of every sale to underprivileged and special needs children in South Africa. 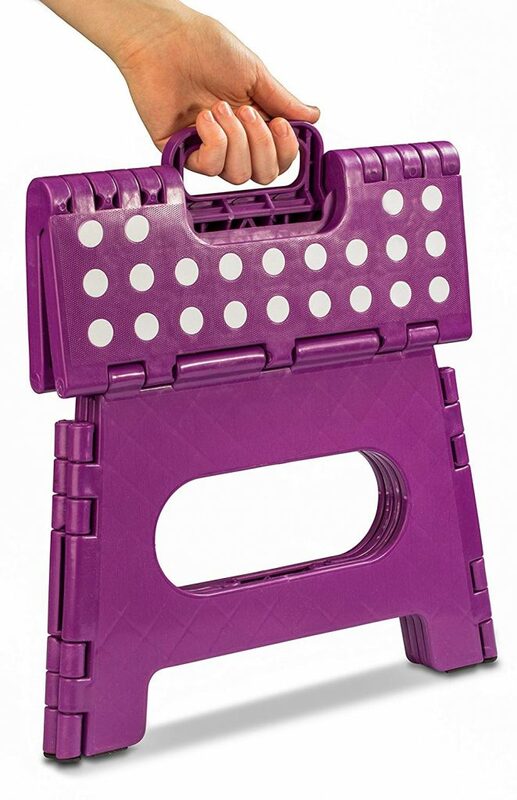 This is a foldable toddler step stool which provides a boost of nine inches of height when open and a minimal height of 1.7 inches in its collapsible form for compact storage and portability. It can be taken along on trips, or used in recreational vehicles, bathrooms, bedrooms, and kitchens. 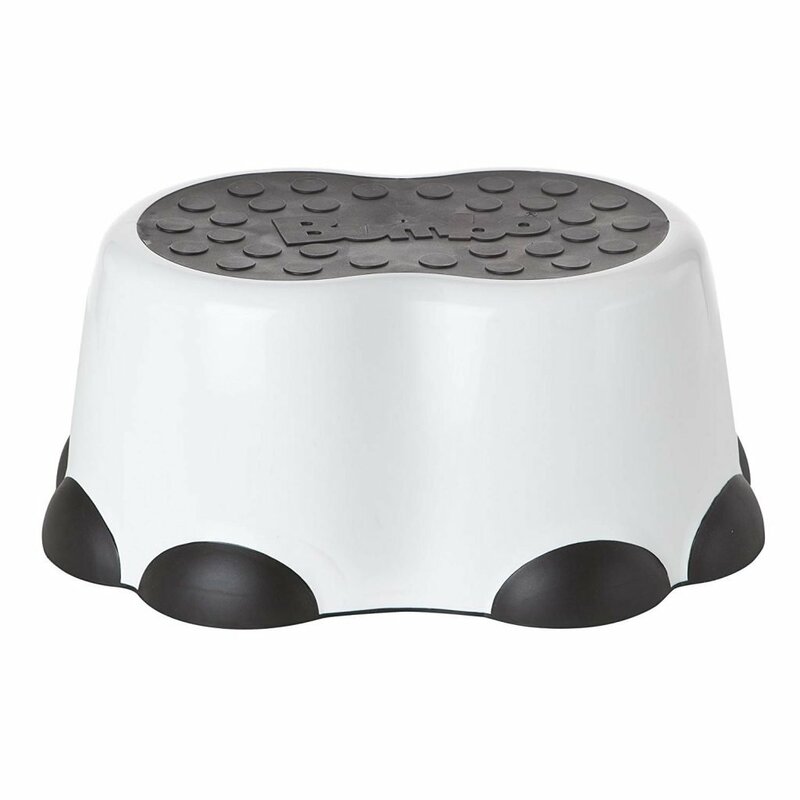 It is the best toddler step stool for sinks because its compact size allows it to be stored in kitchen cabinets and shelves, and fit among kitchen appliances. You can even carry it in a backpack when going to visit grandma, for instance. 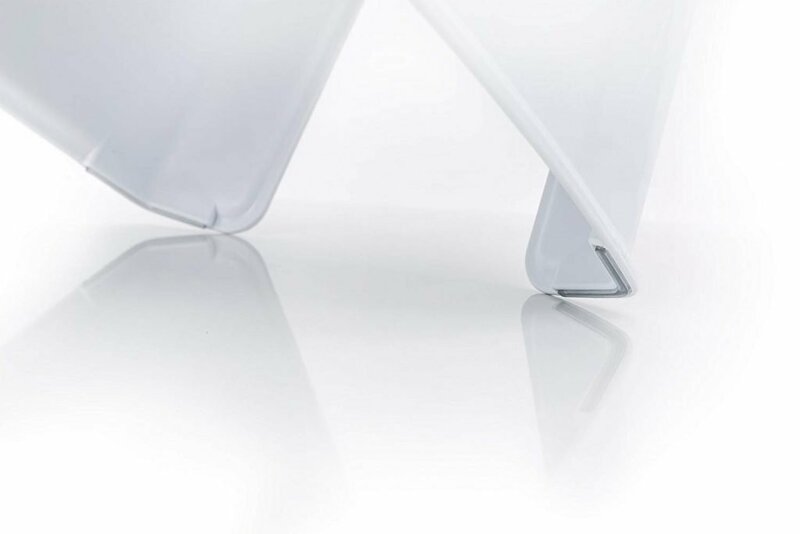 The foldable design eliminates the need to disassemble it each time you want to put the stool away because the built-in carrying handle makes it easy to flip the unit open or fold it. It also increases its portability. The stepping surface has a grip-dot texture for secure footing while the legs have anti-skid pads which adhere to ANSI III safety requirements. Although the plastic construction makes it light at only 2.3 pounds, it is sturdy enough to hold up to a maximum of 200 pounds. This is probably the reason why several customers have bought it mainly for themselves, and not for their toddlers. It is one of the few toddler step stools with a weight capacity suitable for most adults, and you can get it in purple, black, or white colors. Unfortunately, this model does not lock into place when open. Adults can use it without a caution, but kids may need supervision when using it due to their constant wiggling. Parents on a budget who are looking for a portable and durable option will find this the best step stool for toddlers to learn self-skills, including potty training and brushing teeth. This model has a height of 5.5 inches, and its compact size and contoured design fit snugly at the base of the toilet without getting in the way. The child can also stand on it to brush their teeth or wash their hands after using the toilet. Since the bottom part is hollow, toddlers can use it as a storage option for their toys. 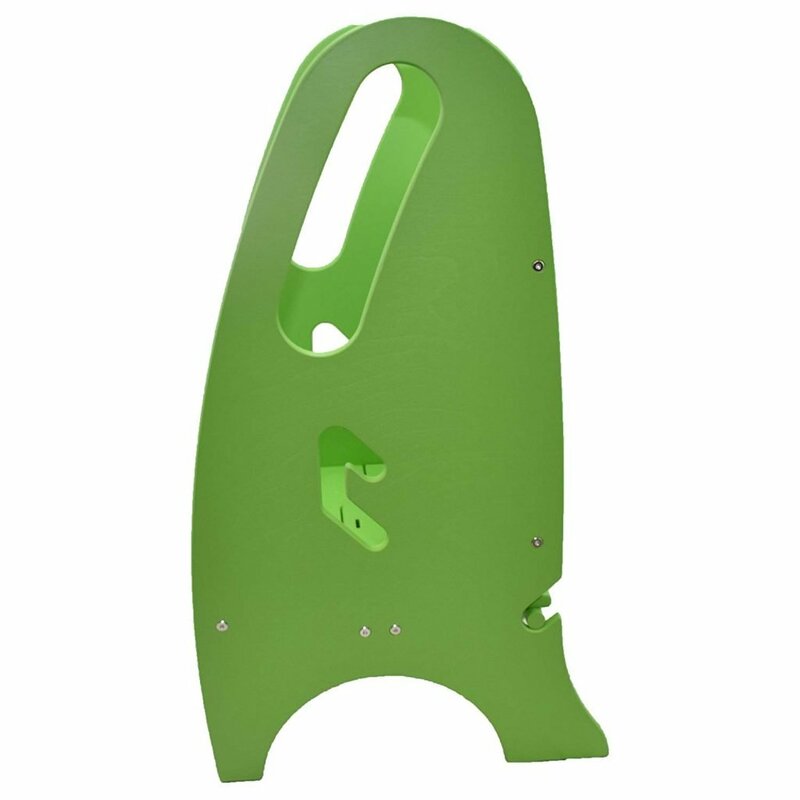 It is made of durable plastic, and the green dotted anti-slip pattern at the top and anti-skid bottom prevent this model from skidding or slipping. Your little one can comfortably move this stool around because it is very light at only 0.88 pounds. It also has holes on the sides that are used as handles. Some parents have used it to rest their feet after a long day, and it did not slide out. Majority of buyers loved its durability and anti-slip qualities as well as the access it gives children to areas that they could not previously reach. A few of them found the height too low to reach sinks and the diameter too small to allow the child to turn while standing on it. Maximum weight capacity: 70 lbs. This is the best toddler toilet step stool which is ideal in transitioning your two-year-old tot from potty to toilet training. It has a height of 5.5 inches for children to step on in order to sit on the toilet. 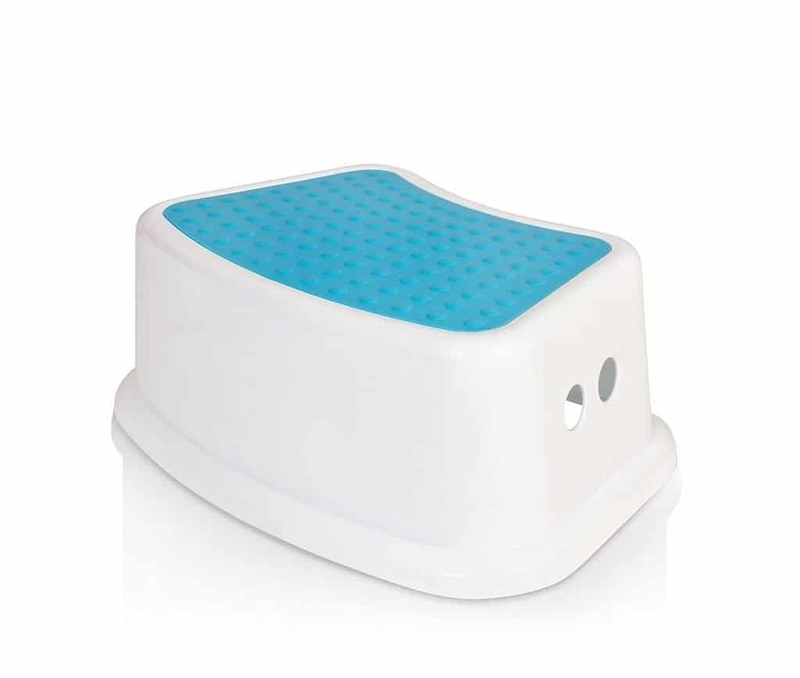 The whole unit is made of plastic, with a textured anti-slip top for a secure footrest and an anti-slip bottom which prevents the baby from falling off. The material makes it easy to clean by simply wiping it off with a damp fabric. Children can easily carry it themselves since it is very light at 0.15 pounds and has holes on the sides that serve as kid-friendly handles. The unit is available in blue color for boys, pink color for girls, and other neutral colors. It can hold a maximum weight of 70 pounds although one customer noted that it easily withstood 90 pounds. 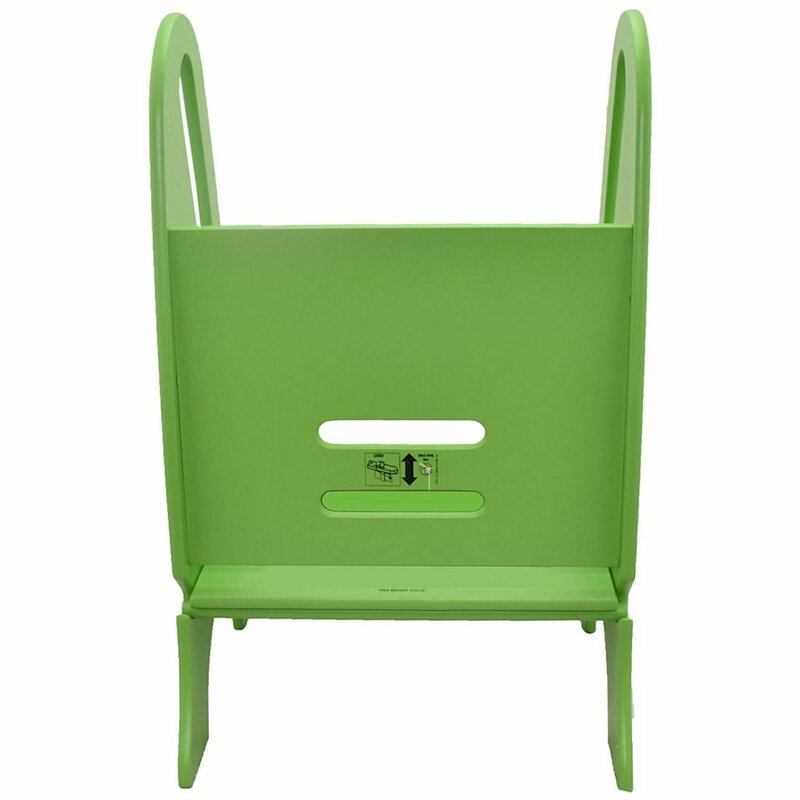 As well as helping kids to sit on toilets, this step stool gives toddlers a leg up to climb up on beds or reach the sink to wash their hands. Younger kids might require your help to step off it because some customers have reported slippage. 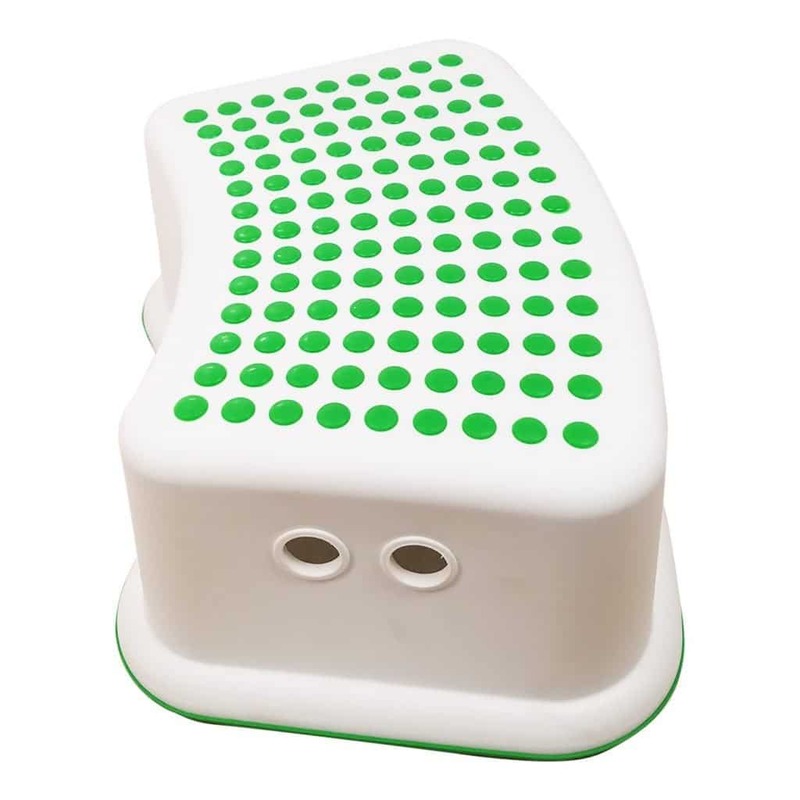 However, all in all this model is one of the best toddler step stools for potty training. 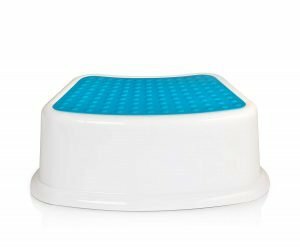 This buying guide provides more information on essential features to give you a better understanding of the best step stool that will suit the needs of both you and your toddler. It also points out the benefits of a step stool and how and when you should start using it. The guide ends with an FAQ section which provides answers to commonly asked questions. What can a step stool be used for? Toddlers are innately curious with an insatiable spirit of adventure which often lands them in trouble. They crawl, crouch and climb their way to try and reach inaccessible areas. A step stool satisfies this exploratory spirit by providing them with an easy and safe way to reach these areas without falling. For toddlers, a step stool enables them to reach sinks, toilets, shelves and kitchen counters, or climb up beds and seats. Kids are also known to creatively use them to store their toys. Adults use these things to reach light bulbs, ceiling fans, closets, and top shelves, or as a footrest. 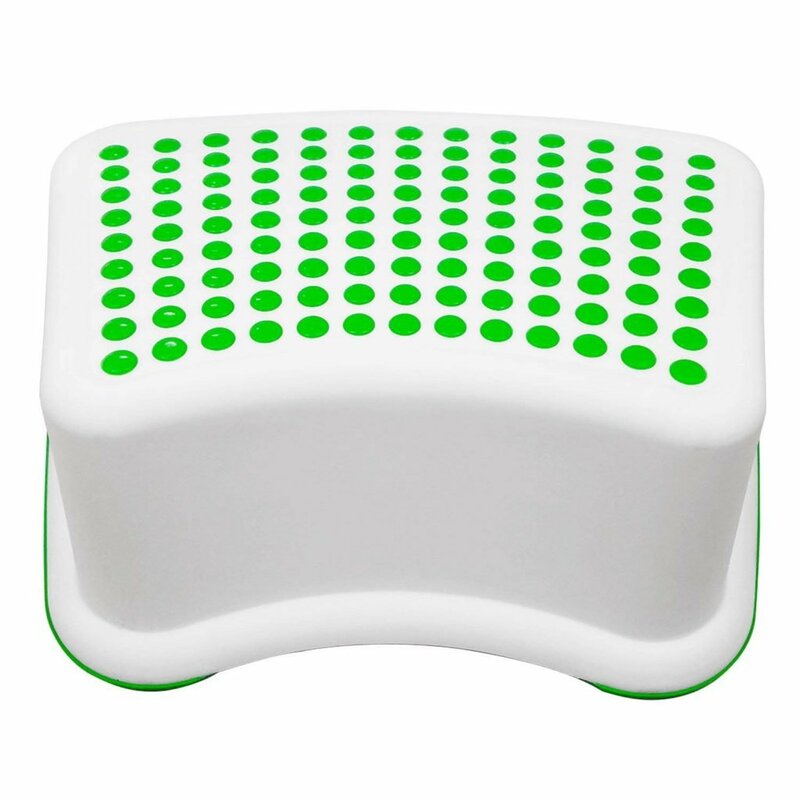 Some step stools can double up as mobile seats. Step stools encourage self-skills in children because they can quickly learn how to use the toilet, brush their teeth, wash their hands, set the table, and take part in other household chores with their parents. They keep the child calm or busy and free you up for other tasks. 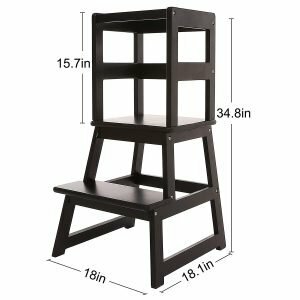 We are going to discuss the essential features to consider when shopping for a toddler step stool so you can decide the ones that are the most important to you. 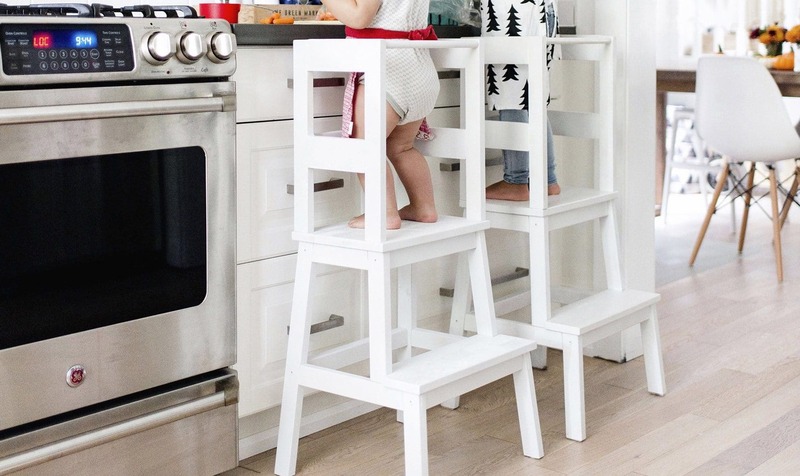 It is tempting to hop on step stools designed for our toddlers when we quickly want to reach something, or when we want to simply test the unit’s strength. It’s just this one time, and I will just stand on it on one leg so the step stool should be okay, right? Surely, it will be. It looks so strong, and I have never been fat or heavy in my life. Next thing you know, you are sent crashing down to reality, and as you furiously go through the step stool’s documents to contact the manufacturer for a replacement, the recommended maximum weight jumps out at you. It hits you that you had exceeded it by ten times, and now you have a crying toddler who has gone back to needing your attention 24/7. You should never try to guess the weight capacity because looks can be deceiving. Step stools feature different construction materials and designs that make them suitable for specific purposes that are sometimes age and weight-related. Manufacturers almost always indicate the maximum weight the unit can hold to guide you. 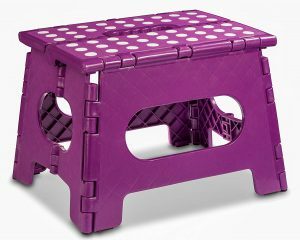 Toddler step stools are mostly made of plastic, wood, or polypropylene because they are not only durable but also lighter and safer than metal. The material used has an impact on overall weight so it should be light if the step stool is used in different areas of the house. 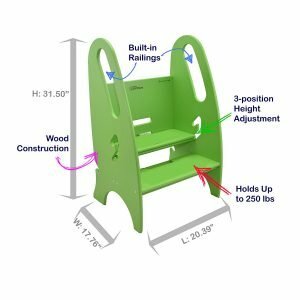 Weight is influenced by the type of material used in construction and the additional features, such as extra steps, safety rails, and multiple functionalities. The right weight should be determined by the type, location, and frequency of the stool usage. 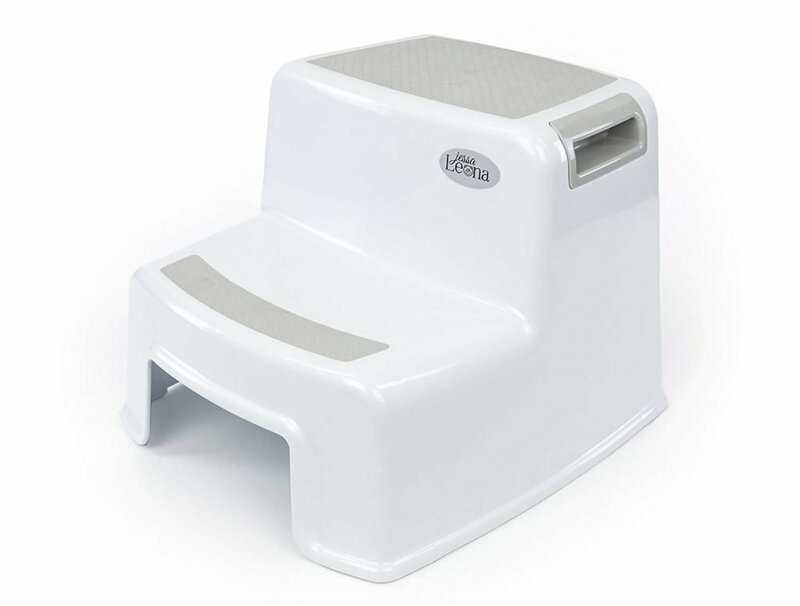 A toilet-training toddler step stool should be light enough for your toddler to carry it around themselves. You are instilling independence and self-reliance in them, after all. On the other hand, a step stool designed to help them reach kitchen counters (like the SDADI Kids Kitchen Step Stool) could be heavier for additional stability. Evaluate the purpose of the step stool and your available storage options. What do you need to reach with it? Do you need a step stool to toilet-train your child or will they use it to reach the sink and kitchen counter? Do you plan to use it yourself to reach the top shelves or for cleaning and painting tasks? Where will you store it? Will it be mobile or situated permanently in one location? Is the height adjustable? Establishing how and where you are going to use the step stool will help you choose the right dimensions so that it is not too high or low for the intended task, or too large that you struggle with moving and storing it. Manufacturers usually indicate the length, width and height dimensions, including foldable dimensions for collapsible models. Knowing the dimensions also help you to know the size of the stepping surface so your child does not keep slipping off a small surface. Safety should always be a priority when choosing the best toddler step stool. Different models incorporate various safety measures, with the most standard and common one being anti-slip and anti-skid safety features. 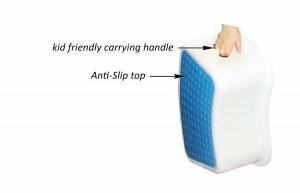 The stepping surface should be slip-proof to provide a firm foothold for your little one’s feet and prevent them from sliding and losing balance, no matter how much the child wiggles. The base of the unit should be equipped with anti-skid pads for traction on all surfaces. Bumbo Step Stool is exceptional at this. It stays in place even when kids stand on the edge of the stepping surface. Warranty: We know how much children can be obsessed with their toys, and how rough they can get when playing with them. This is why a toddler step stool should be sturdy enough to withstand the wiggling, stomping, dragging, and throwing by toddlers. A warranty assures you of that. 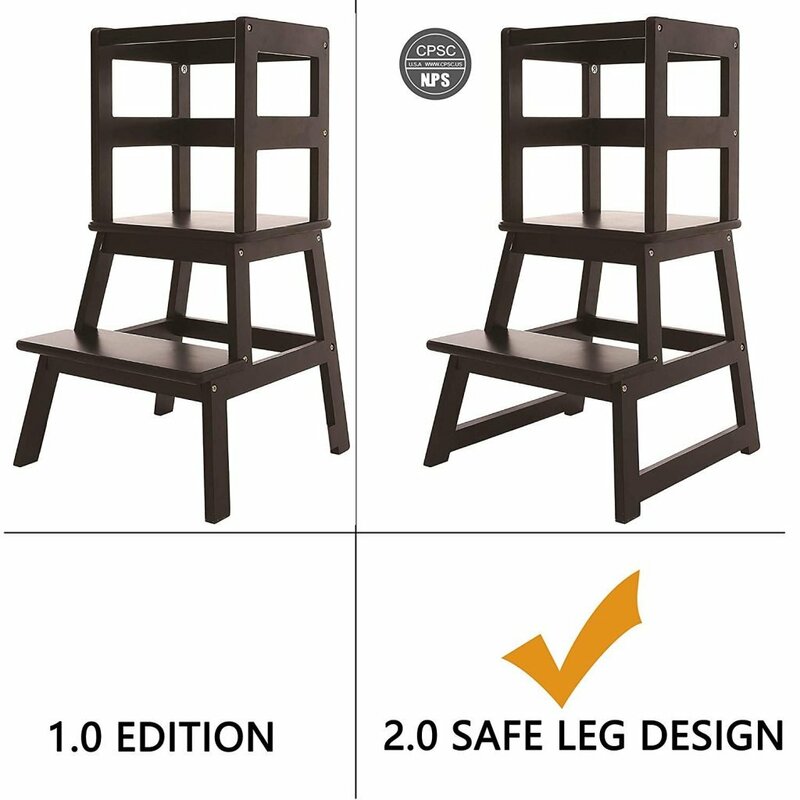 Not all step stools have a warranty, so you need to confirm this with the manufacturer. Some manufacturers are confident enough in their product’s performance and durability to let you test it beforehand with a money back guarantee for varied periods. 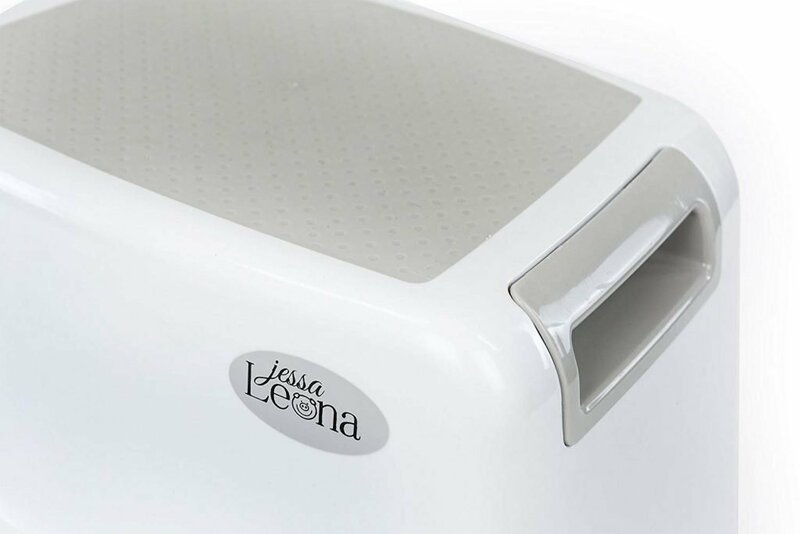 For instance, Secure Home by Jessa Leona Step Stool for Kids and SDADI Kids Kitchen Step Stool come with 90-day and 14-day money back guarantee respectively. The latter also comes with a lifetime warranty. Colors available: Toddlers love attractive things. 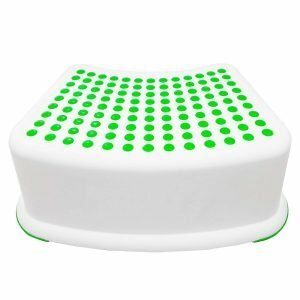 Step stools that are available in a wide variety of colors give you more options to select your child’s favorite color or to match them with your décor. 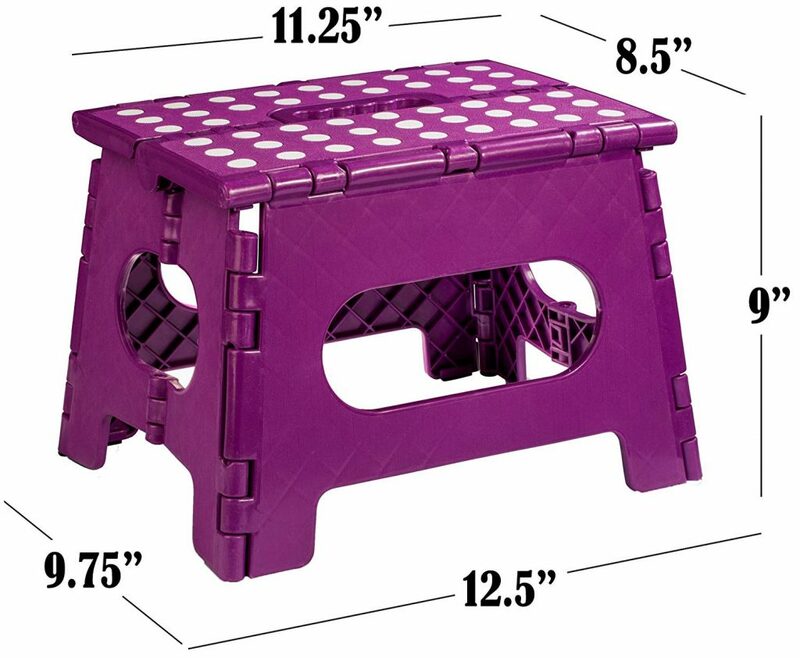 Little Partners Toddler & Adult Step Up Stool is available in nine different colors. 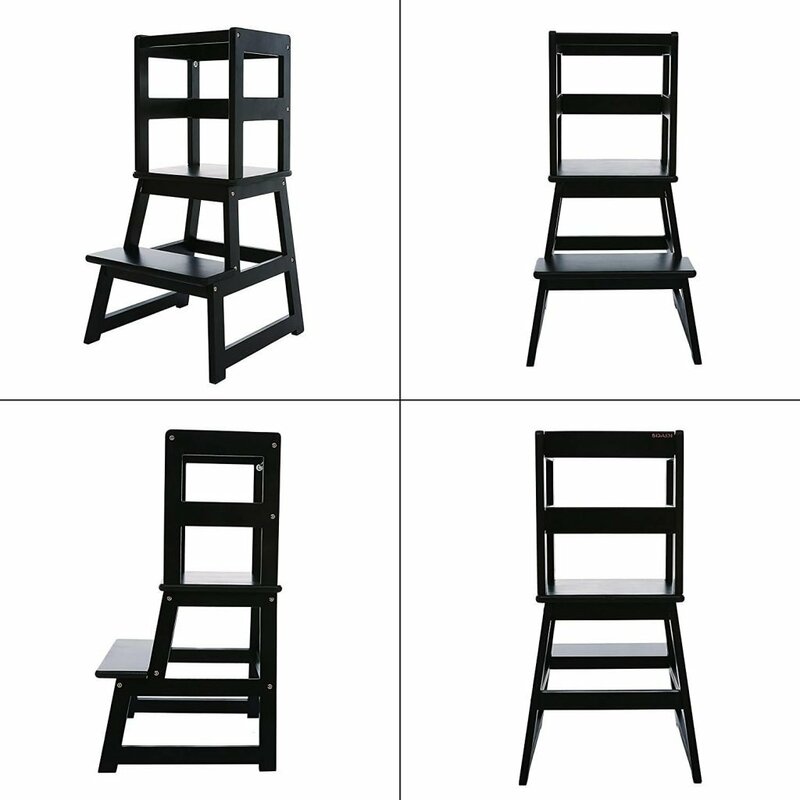 Adjustability: Step stools with adjustable height provide more options for users, usage, and stages of development. Little Partners Toddler & Adult Step Up Stool allows height adjustment to three positions to accommodate different ages and heights. When to start using a toddler step stool and what to begin with? A toddler step stool is first required when you are potty-training your child. This is generally from the age of 18 to 24 months. 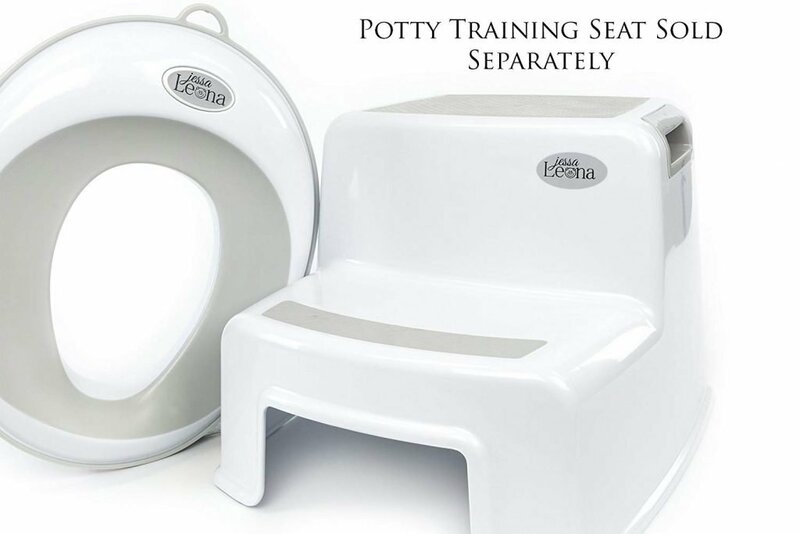 You can start off with a training potty. 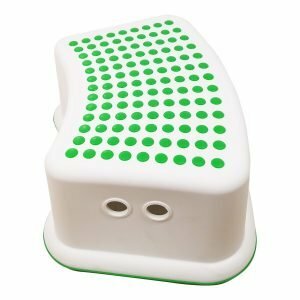 Although potty-training step stools share a lot of similarities with regular toddler step stools, they are easily identifiable by their unique slight U-curves which are designed to fit the base of the toilet while remaining out of the way so you do not need to constantly move them. They work with seat reducers to introduce your child to a big toilet. A great model to start your baby’s potty-training journey is Bumbo step stool because it is sturdy, comfortable and safe. Additionally, it offers the right height for your toddler to use a potty or a child-sized toilet seat and also reach bathroom sinks to wash their hands afterwards, but limited reach to kitchen counters which are unsafe for a baby of that age. 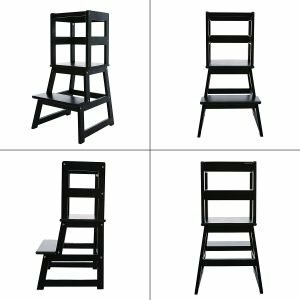 Can any of these stools be also used by parents? A number of models in our list can be used by both toddlers and parents, as long as they stick to the recommended maximum weight. 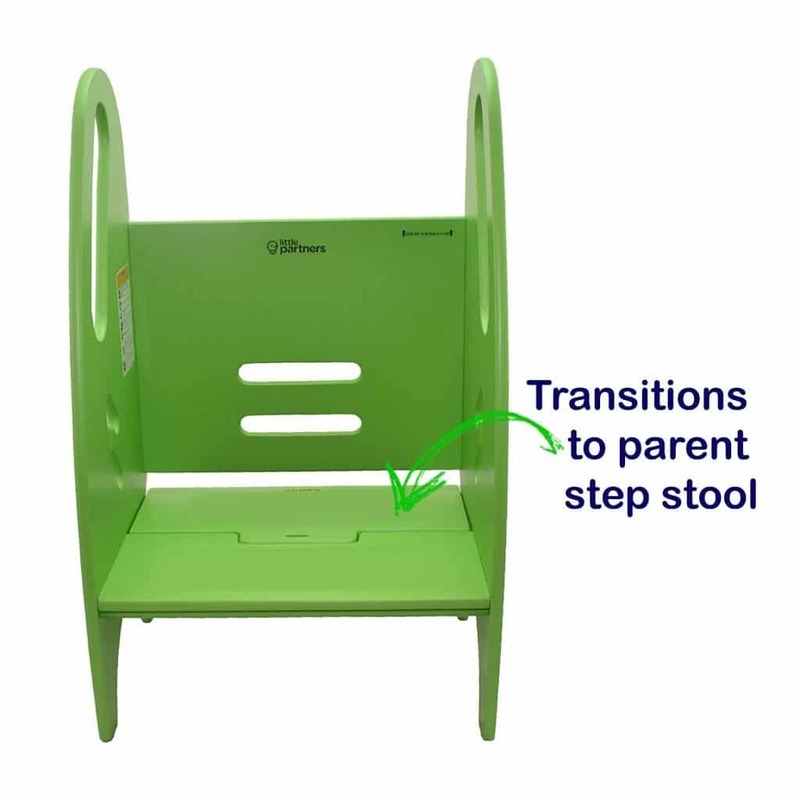 Some like Little Partners Toddler & Adult Step Up Stool can even accommodate a toddler and an adult at the same time. 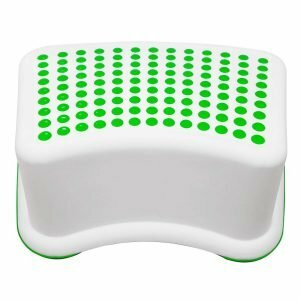 Are plastic step stools easy to break? 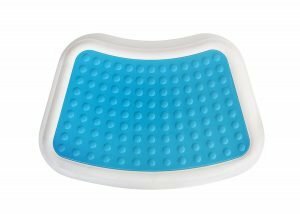 High-quality thick plastic is mainly used for toddler step stools because it can withstand their little weight without breaking. What’s the optimal stool height for a three-year old? There is no optimal stool height for three-year-olds, or for any age, because height varies from one toddler to another and it depends on other factors as well including where you intend to use it and what the height of the surfaces you want your kid to be able to reach is. Secure Home by Jessa Leona Step Stool for Kids is more than our first choice. It embodies safety, the priority of every parent for their toddlers. Each of its part is designated for safety, from its anti-slip grips and anti-skid guards, to its curved back and wide base. But that is not all. 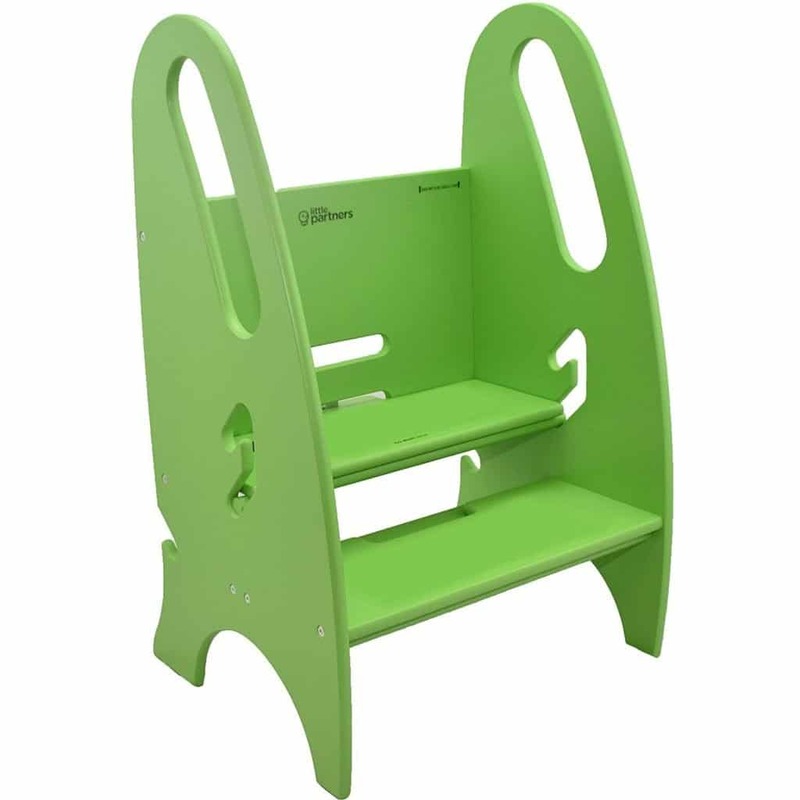 Few toddler step stools can match its combination of sturdiness, versatility and competitive pricing. It is definitely a keeper which will serve your toddlers for a long time. Little Partners Toddler & Adult Step Up Stool ranked second for versatility and the wide array of options it avails to you and your toddler, including adjustable height, three stepping surfaces, eight different colors available, high weight capacity, and the option of simultaneous use by two kids, or a kid and an adult. 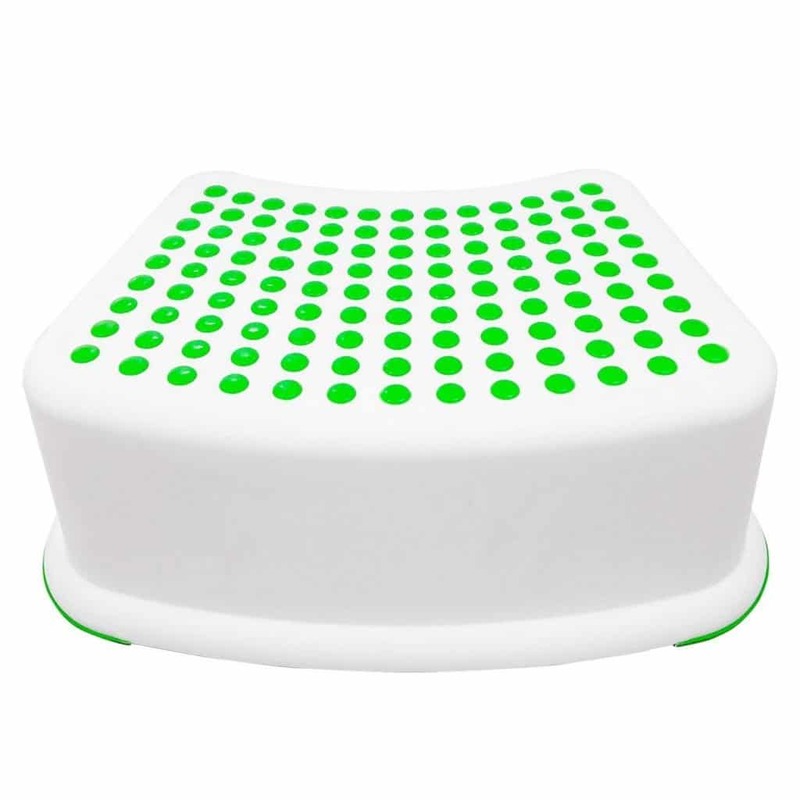 SDADI Kids Kitchen Step Stool stood out as the best toddler step stool for kitchens. It won us over with its sturdiness, safety, stylish appearance, 14-day money back guarantee and a lifetime warranty.